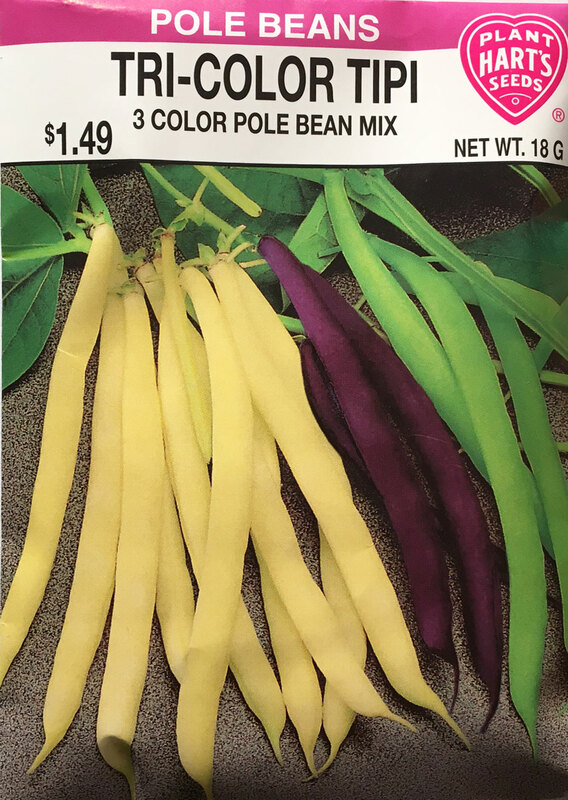 The perfect combination for you children's backyard TiPi or 3 bean salad at your next cookout. Each of the three varieties are fast growing, tender, and disease resistant. Vigorous vines will cover the poles of a TiPi within 2 months and provide a great hiding spot for the young gardeners in your family! Bean flowers are edible too. Planting time - late spring or early summer. 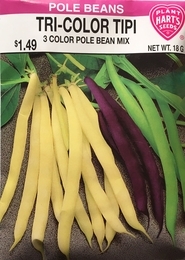 Beans germinate best when the soil is warm so be patient; don't rush your planting date. Germinates in - 7-10 days depending on the soil and weather conditions. Cool, wet weather will delay germination. Seed spacing - 2-3 inches apart around poles or next to sturdy supports. Thinning - when plants are 2-3 inches tall, thin to 8 inches apart or 3 plants around each pole.